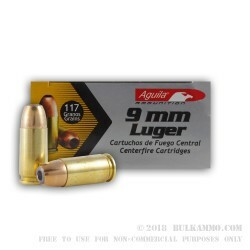 The 9mm Luger is an old caliber, brought into existence by Georg Luger in 1902 as a modification to the existing (and now defunct) 7.65x21mm Parabellum cartridge. Mr. Luger did design the 9x19mm for German forces but sent samples to the British and U.S. militaries for trial and was ultimately denied by those agencies. Meanwhile, the German Navy adopted it as the standard handgun caliber in 1904 and the German Army followed suit in 1908. The rest, as they say, is history. 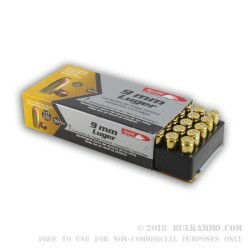 The 9mm is the most popular handgun and sub-machine gun caliber in the world, shoots great, has little recoil, is accurate, easy to find, and cheap. If you shooters are anything like the rest of humanity, you probably key intensely in on the word “cheap”. By cheap, we mean inexpensive. Cheap guns and cheap ammo, in the tense of inferior quality, means anything from unreliable to down-right dangerous. Cheap guns are prone to misfire, cheap ammo is prone to being dirty, causing jams and misfires, and in bad cases getting stuck in barrels (NOT a good day). 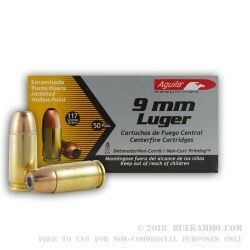 Aquila ammunition is “cheap” in the sense that you will get a lot of return on investment. It is cheap only in the sense that you don’t have to spend a lot to get a lot. Aguila has been manufacturing in the heart of Mexico for over 50 years and has gathered a good reputation for a reliable product produced for a very reasonable price. Their 117 grain 9mm JHP exemplifies this and at a price you should not ignore. Go ahead and grab a case of Aguila 9mm 117 grain JHPs today and feed your passion, whether it’s your EDC go-to pistol, your duty pistol, or a carbine. You won’t regret it!